When people purchase a home they buy a vision of their future. And most people's vision of summer is a happy one. Now that summertime is here, it's the time to double-check your homestaging. Does it capitalize on the happy vibes of the season? I've collected a series of photos that I think captures the spirit of summer, one of the busiest home-buying times of the year. 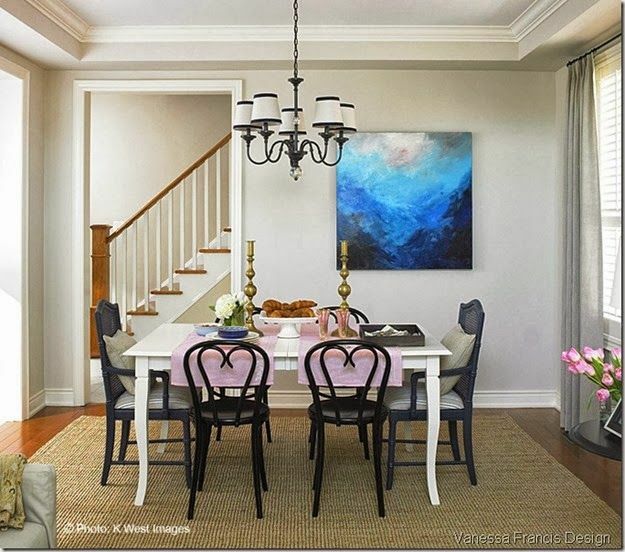 I hope you'll take inspiration and ideas from these images, and make the most of summer staging so you'll land a purchase offer you love! 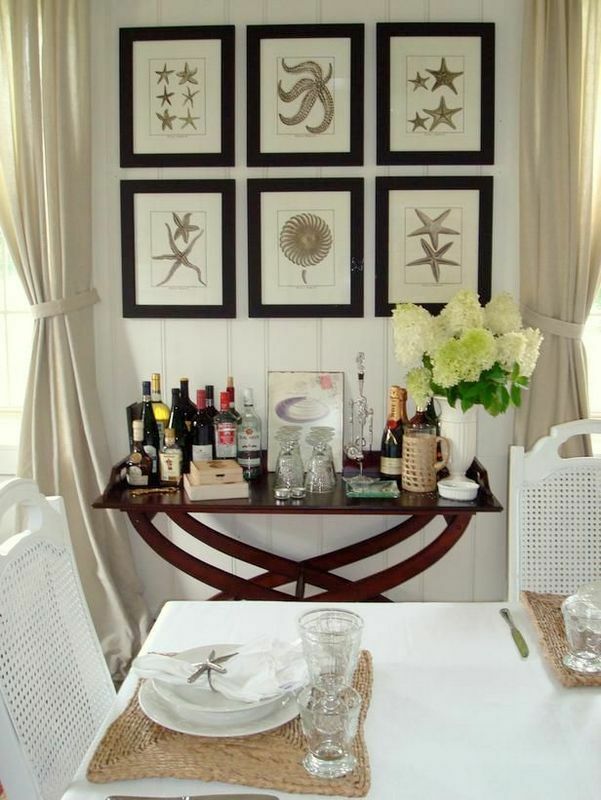 Summertime staging can incorporate a little whimsy without looking goofy. Try some humorous or nostalgic touches in small spaces or outdoors. How about some silly sayings on your guest bath towels? 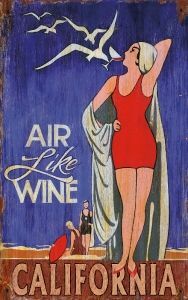 Or vintage beach scenes framed in the hallway? 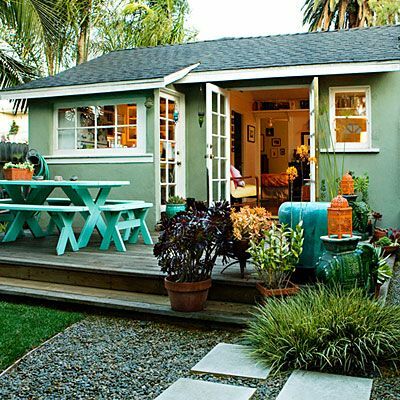 Maybe some whirligigs outside a colorful garden shed? A summer wreath of fabric, shells, or bright summer flowers on the front door welcomes people touring your home. 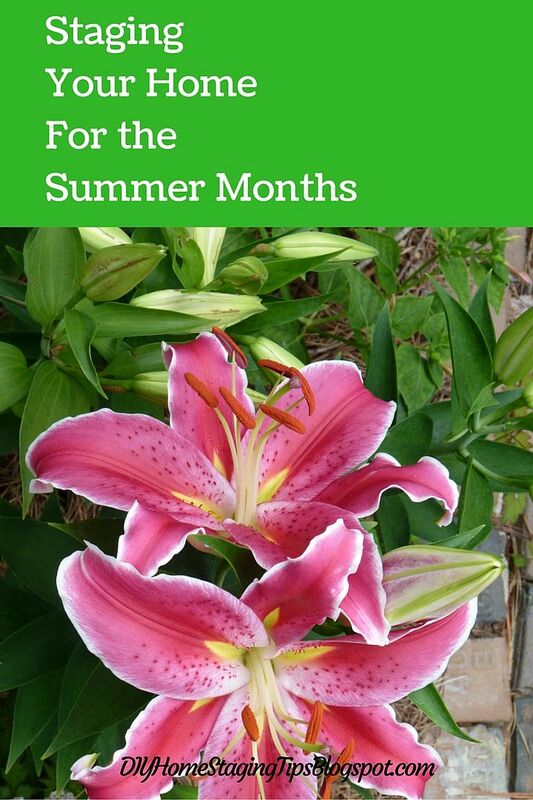 Pots of blooming plants near your entrance are a must if you're working on boosting your curb appeal. You can take potted plants with you when you move, so splurge on pretty containers and interesting plants. Look for props that spell summer fun, especially if you live near a summer destination like a pool, lake or beach. Incorporate fun things like picnic baskets, sand pails and flip flops, seaside relics like coral, rope and shells, or souvenirs like framed art from a vacation destination. 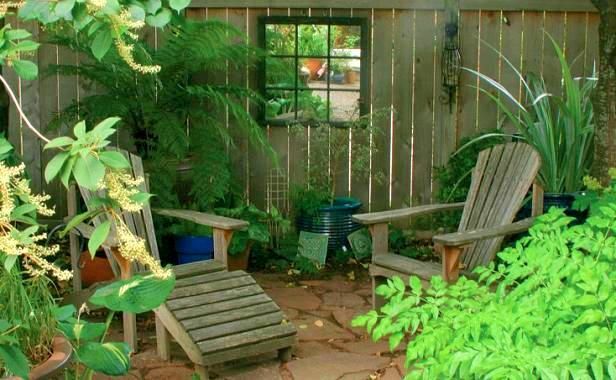 Every outdoor space needs seating, and it doesn't have to be pricey or trendy. 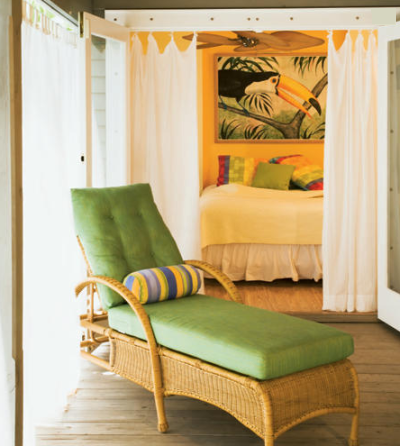 Find a shady corner to stage a relaxing setting. Photo: Fine Gardening. Turning a porch into an outdoor eating and entertaining area is like adding a room. Photo: Sunset. 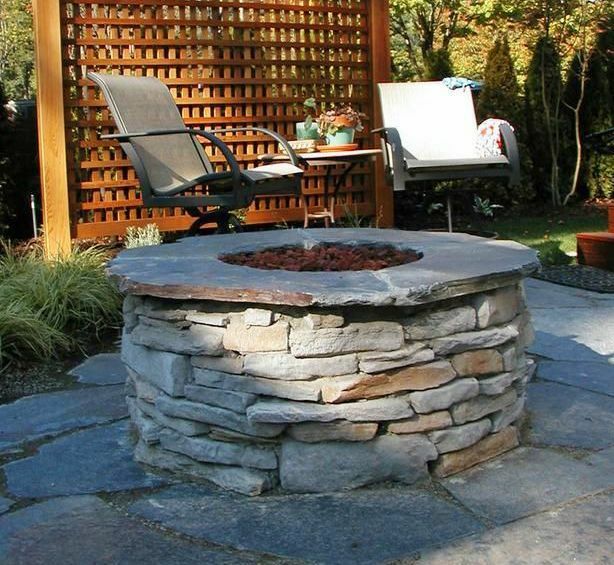 A backyard fire pit is a plus, and a simple fire ring is a do-able DIY project. Photo: HGTV. Summer months are gardening time, and everyone wants homegrown tomatoes. 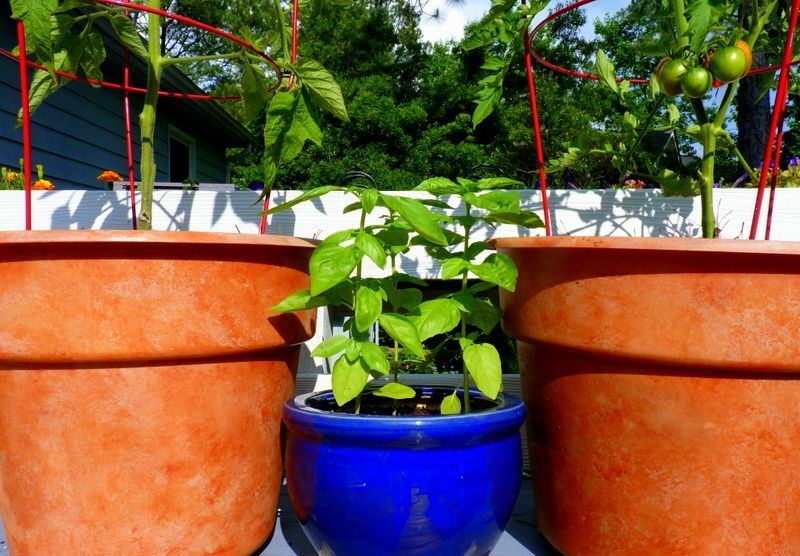 Add some pots to the yard, balcony, deck or patio that remind buyers of summer meals. White slipcovers and summer are a tight twosome. Easy-care furnishings will give your home a casual. lived-in feeling that is attractive to all home buyers. 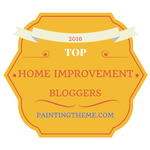 Loft and Cottage BlogSpot. 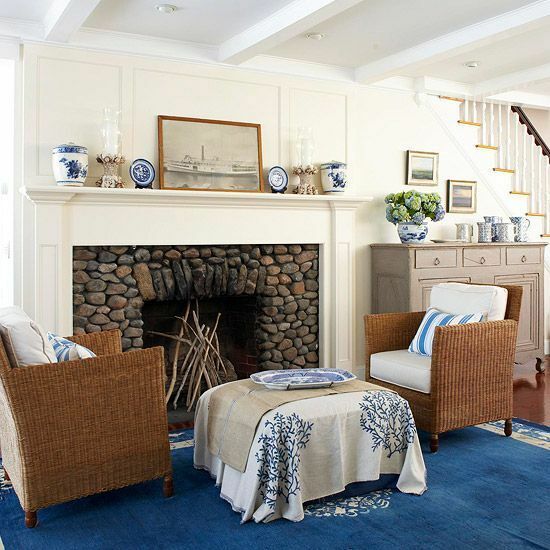 Even if your home is nowhere near the coast, driftwood and other natural elements add that touch of nature that is part of summer's lifestyle. Photo via Completely Coastal. 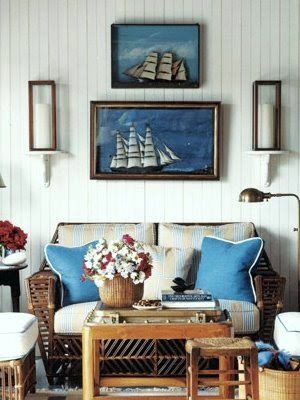 Nautical, beachy or tropical artwork is perfect for summer staging. Photo: House Beautiful. 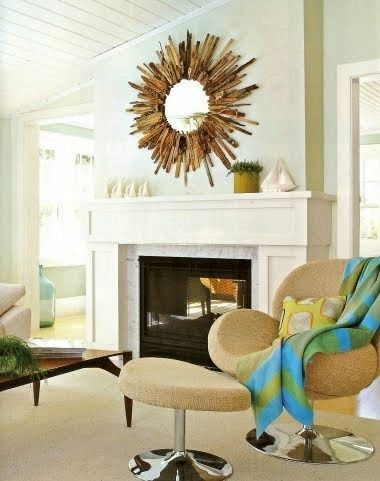 A fireplace mantel can reflect the mood of summer even though the fireplace is "closed for the season." Photo: Centsational Girl. I hope you'll find small and not-so-small ways to showcase the joys of summer for househunters. 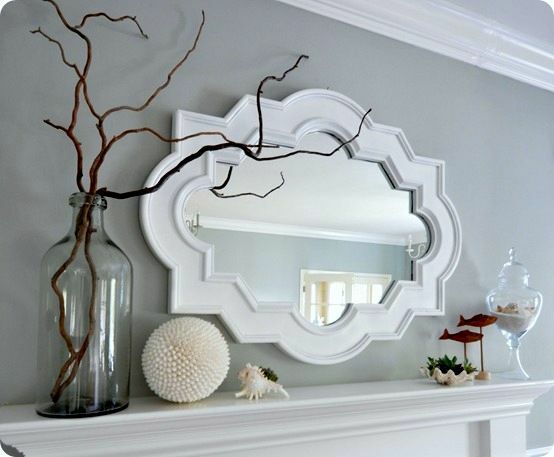 No matter where you live or what size, style or age your home is, there's always opportunities to "summarize" it. Doing so will help buyers imagine their summer cookouts, staycations, and celebrations at your house once they've bought it! If you are staging your own home (or someone elses!) my $4.99 homestaging eBooks make it easy. 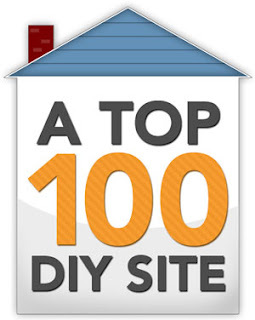 I've been there, and I share all my tips for making a house the one buyers want.